My Opinion/Review: DON'T BUY ONE! As fun and as cool as this thing may seem, you don't want one. Why is the SeeedStudio 2.8" Touch Shield a piece of Junk? Several bugs in the library itself. Horrible to use, does not support print, println, write or anything useful. Not an easy task to print variables. Takes all the pins except I/O and A4/A5. Touch screen is not very precise or sensitive. 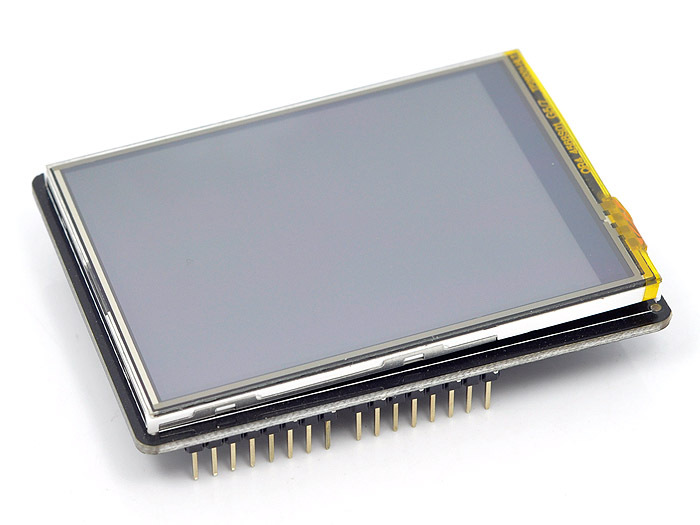 If you want an LCD display for your Arduino, I would look elsewhere. This one will frustrate you! Is the DSO Nano a No No?